Thanks for your post. It’s gonna save me the disappointment in figuring this feature omission out for myself. The inability to mix and randomize playlists is a regression that is worth calling out (= Mixing a bunch of playlists and having songs shift abruptly can be mitigated when intelligence is added to “skip” data Apple’s software collects. Anyhow, your observation highlights my issue with the feature. A problem that’s existed since the “Genius” feature in iTunes was added. 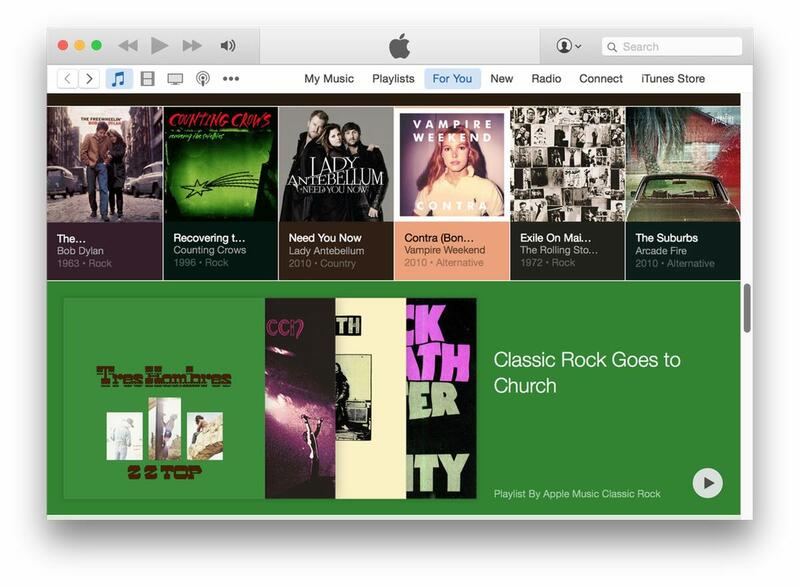 Those genre-based playlists Apple seeded under “genius” got used once or twice then forgotten. Sort of like your comment in for you, the playlists were too uniform. Bland. It’s too bad since it, like this new “For you” feature, has the potential to save the teaming masses from the years of tedium some of us have spent making playlists that reference playlists in iTunes to get diverse mixes of songs tailored to our specific musical tastes and/or to help re-discover good music lost in the multitudes of gigabytes of music our iTunes databases hold. Hopefully someone at Apple will see the light and recode the “For you” feature to allow “For you” lists to mix together. Would seem that the “more like this/less like this” tag and data about skip counts would quickly whip these suggested lists into shape! =D Thanks for your years of Robservations!